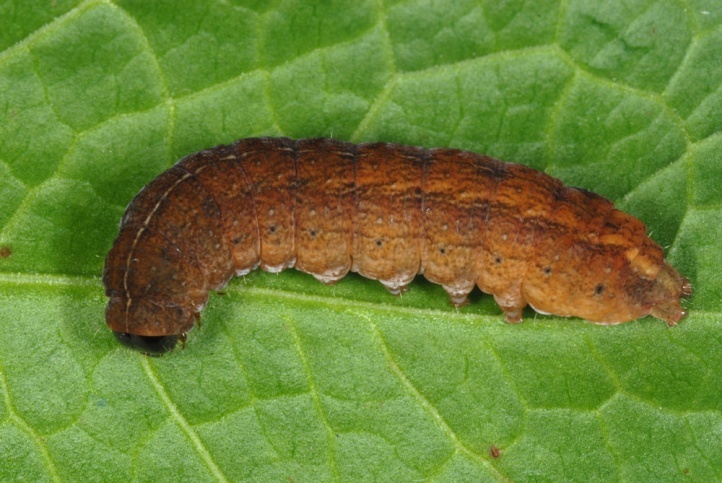 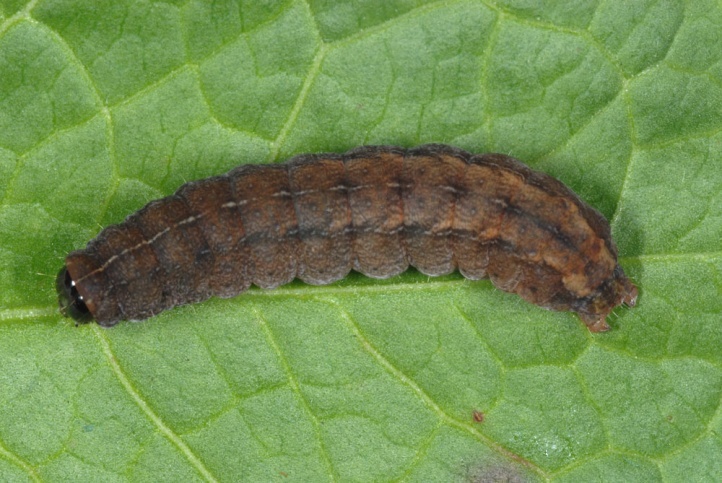 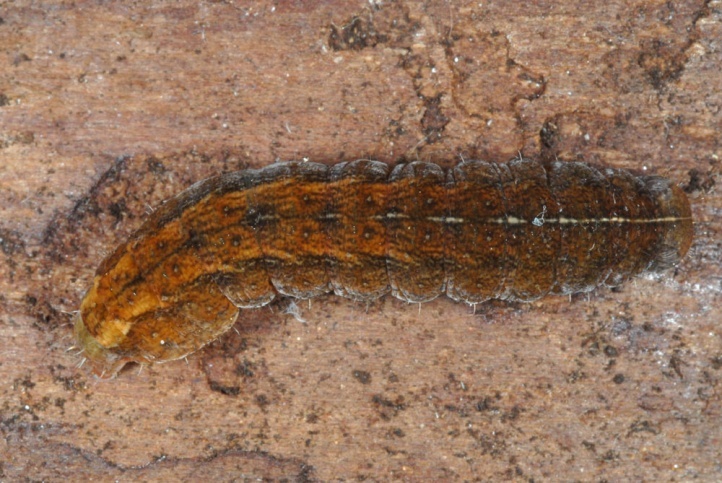 The caterpillar lives polyphagous on herbs of rather damp locations. 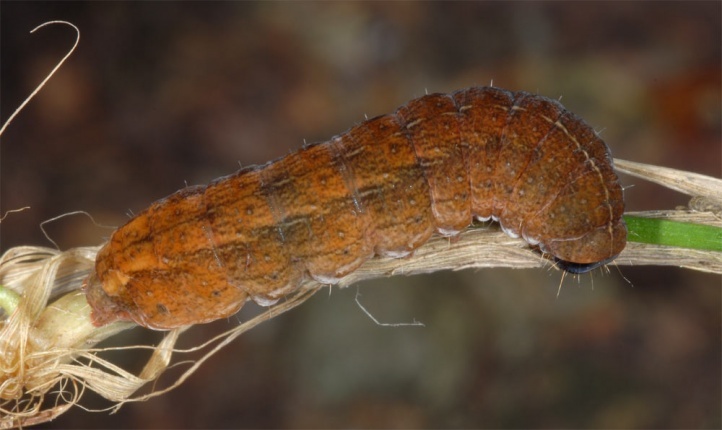 I found it, for example, on the eastern Swabian Alb in a wet forest ditch at Geum rivale and on the edge of a forest near grassland in a damp ditch on Geranium palustre. 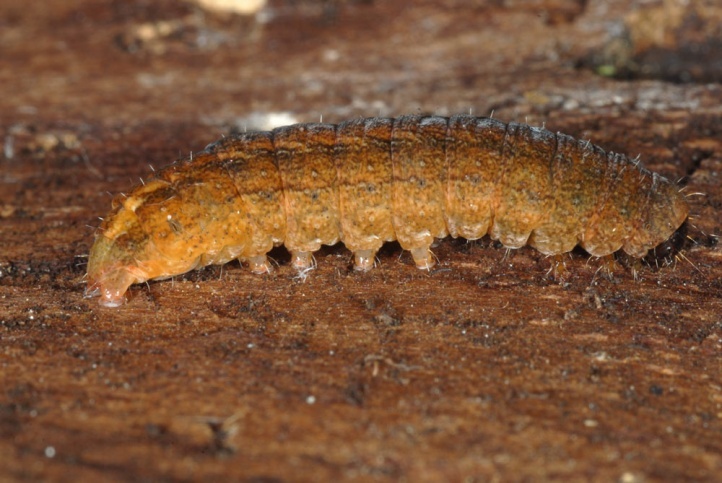 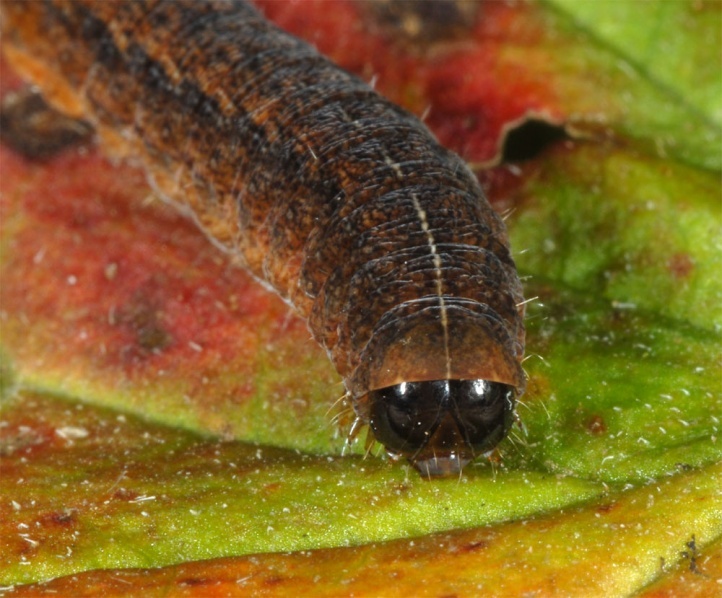 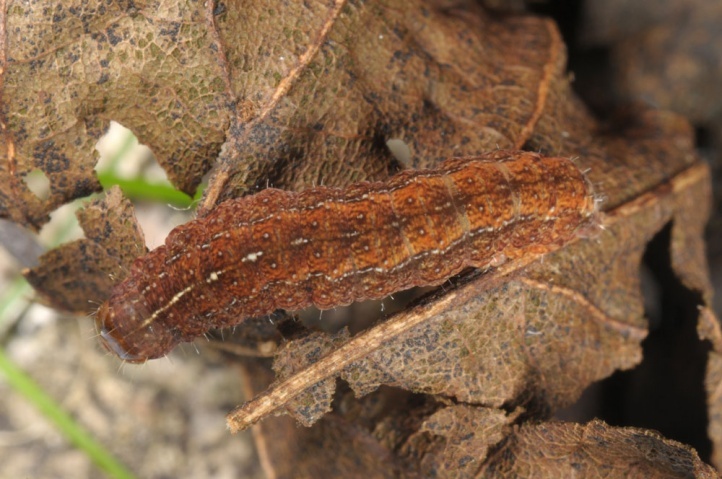 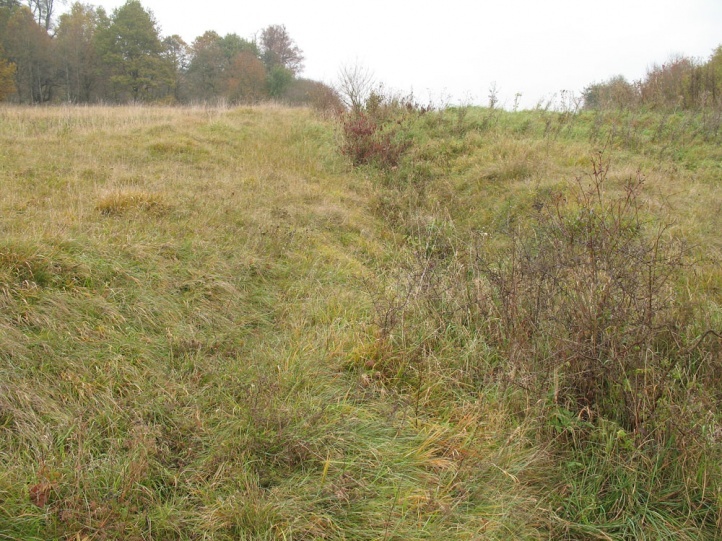 Near Memmingen, I found the larvae in October and November 2012 in a natural garden some 100 meters from the next woodland edge in a humid forb community. 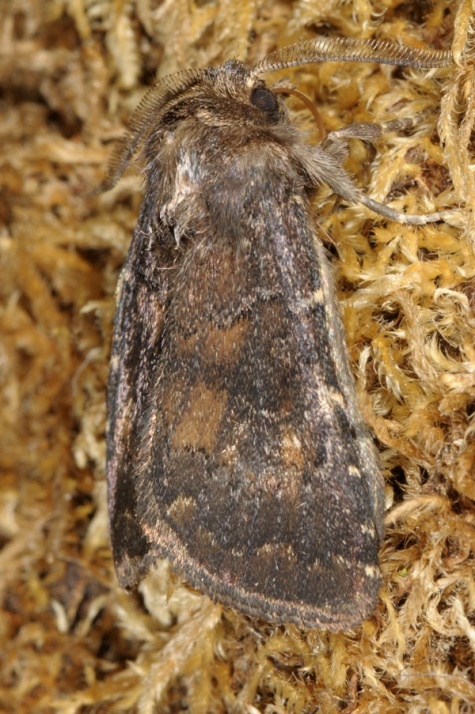 Rusina ferruginea colonizes forb communities and hedges in mostly at least slightly damp forests and in their vicinity. 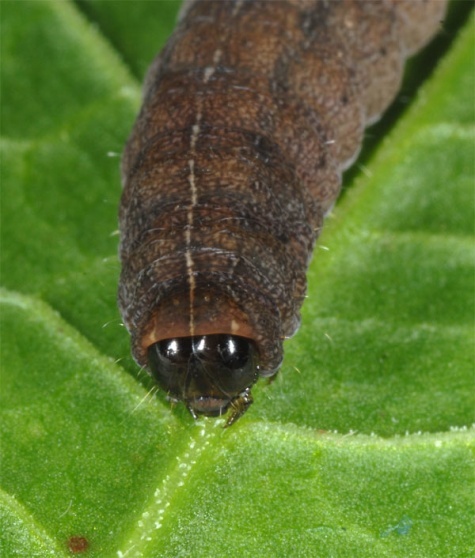 It also penetrates into grove rich, shady places in residential areas (e.g. 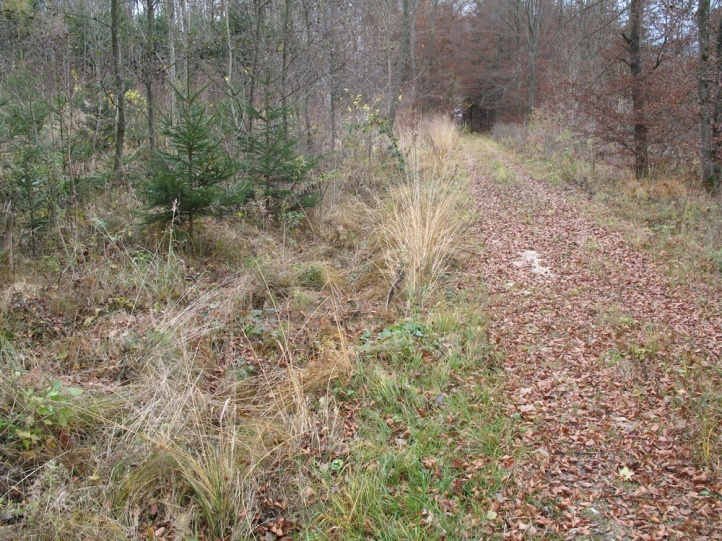 cemeteries). 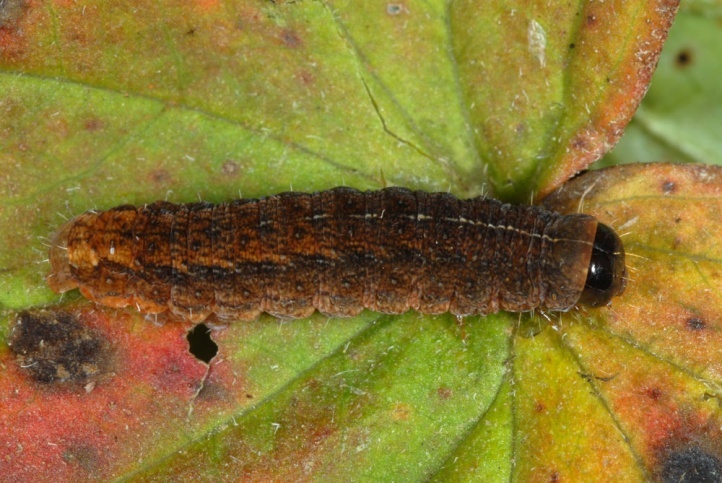 The larva develops in the autumn until early December and then hibernates quite fully-grown. 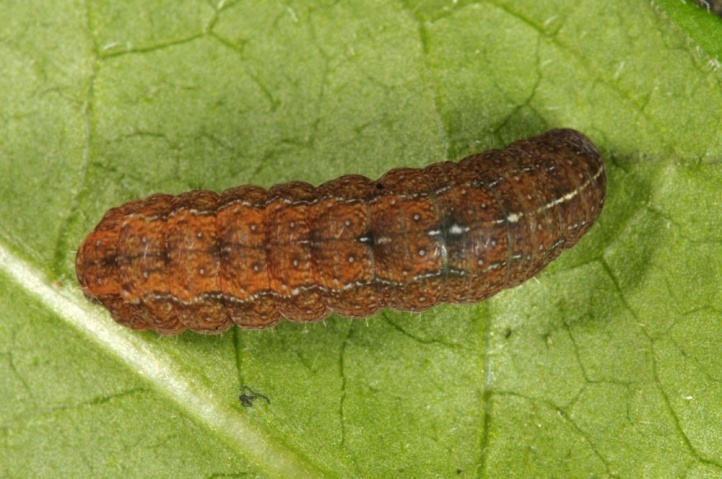 In the spring, the greater part of the larvae will feed again some time. 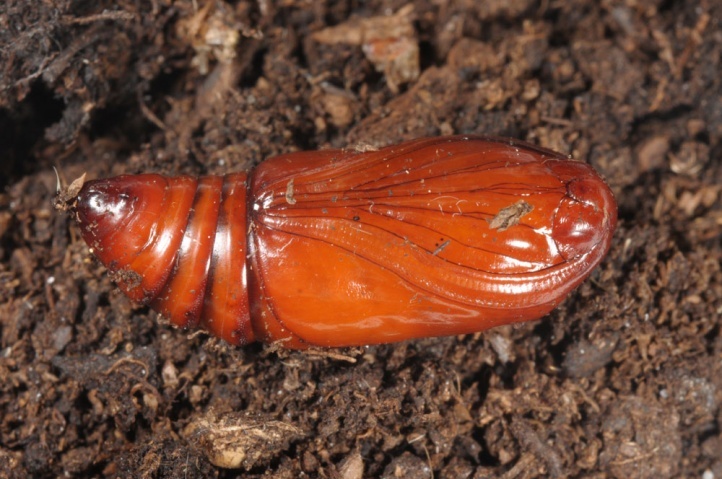 The construction of the pupal shelter on/in the ground should thus usually fall in March or April. 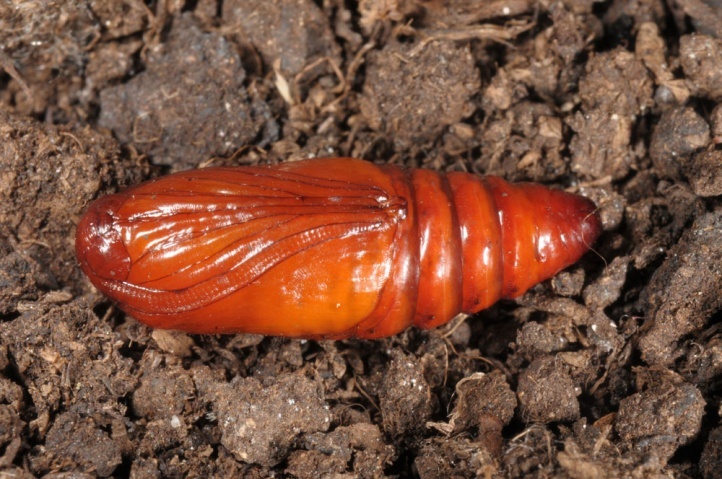 The caterpillar is resting according to own breeding observations for a variable long period in the cocoon until the actual pupation takes place. 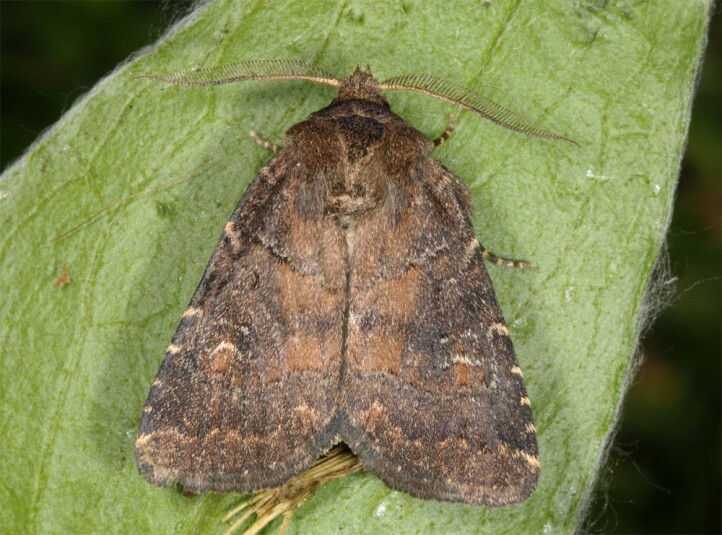 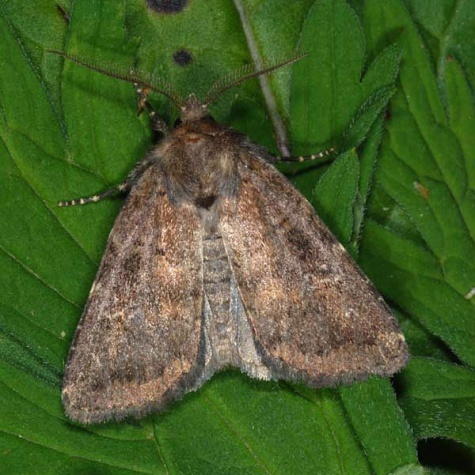 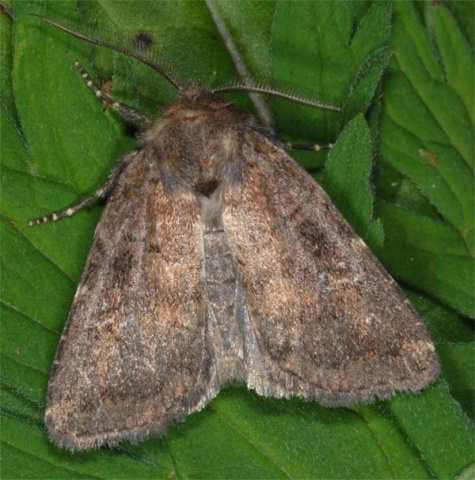 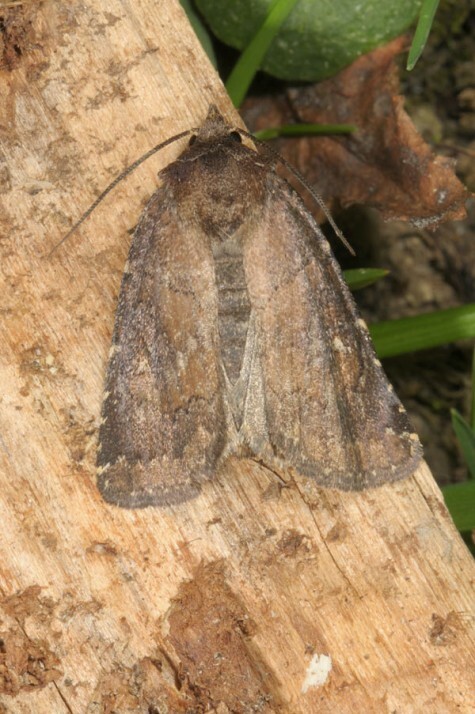 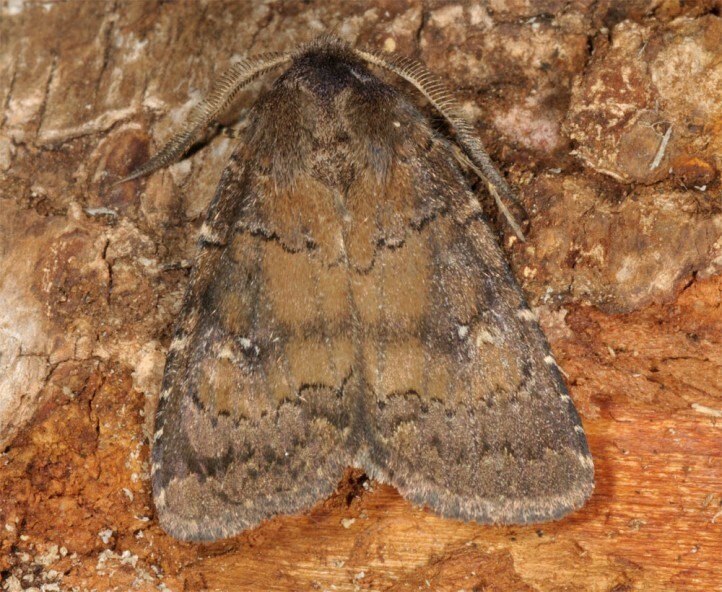 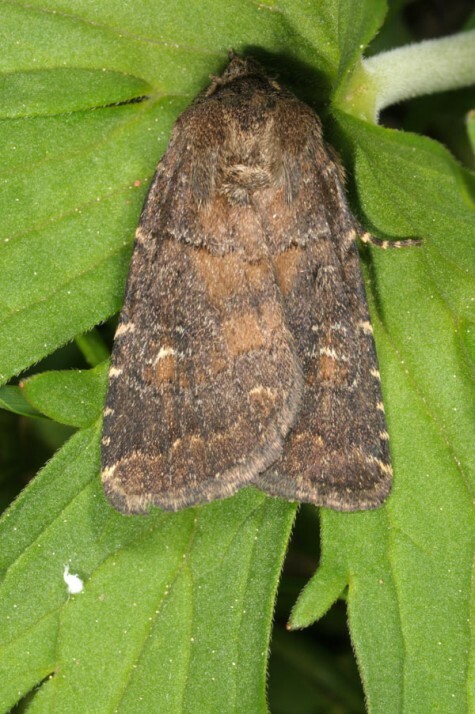 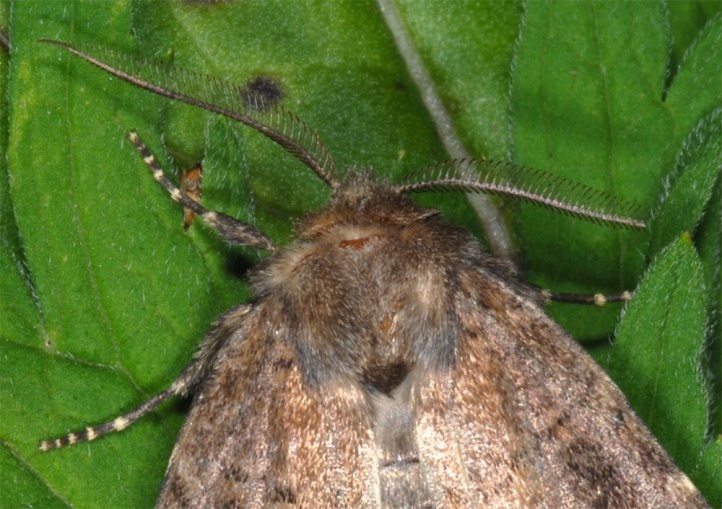 The moths fly depending on the altitude from mid-May to mid-August with peak from late June to mid-July. 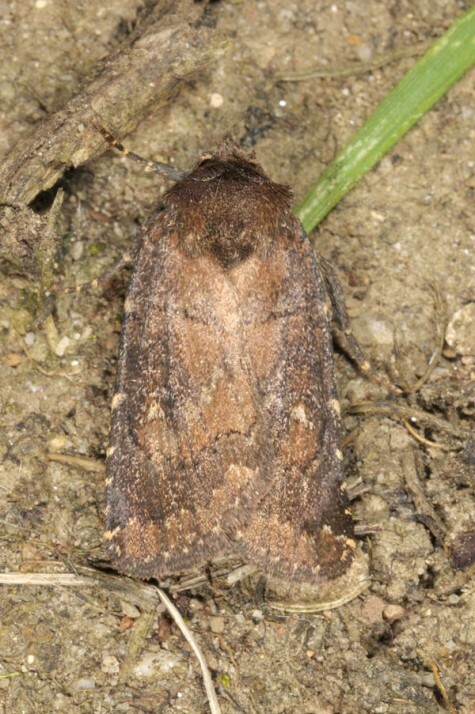 Rusina ferruginea is found in almost all of Europe. 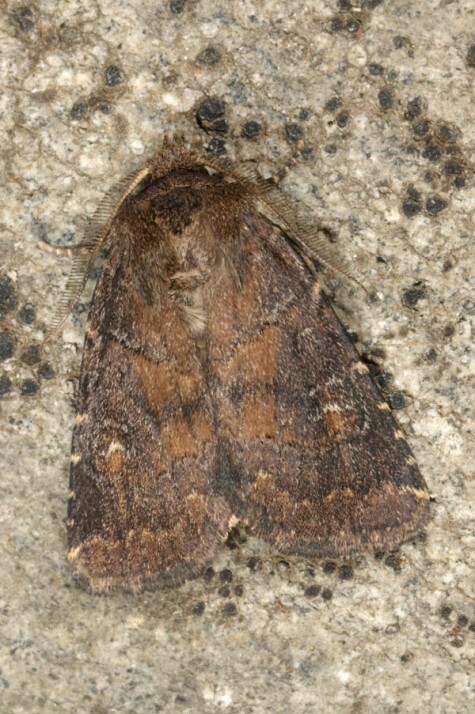 In addition, it is also present in Western Asia.